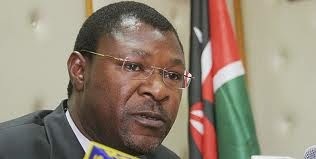 leader Moses Wetang’ula was in Naivaisha to consolidate his party’s support for the proposed Cord referendum on the constitution. Also on the menu was the re-organisation of the party’s national executive council in refilling vacancies that had been occasioned by either resignations or defections by officials during the 2013 general elections. Some officials are deceased. Top on the list for deliberation is coast MP Khatib Mwashetani and his Kapchai counterpart in Bungoma county Mukue Lusweti who were said to be at loggerheads with Wetang’ula over some issues on the party’s leadership. In the changes that were also supported by the party’s parliamentary group on acting capacity, Kiminini MP Chris Wamalwa was retained as the parliamentary chief whip against all odds of taking over the secretary general post held by his Tongaren counterpart Eseli Simiyu. 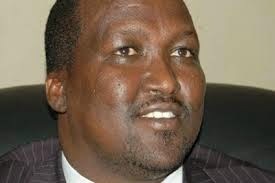 On the new NEC board is the Trans-Nzoia Senator Henry Ole Ndiema who was picked to replace Patrick Koyi as the secretary for agriculture following his appointment as minister for the same docket in the Bungoma county government. Former Bumula MP Bifwoli Wakoli had been replaced by Wamalwa following the former’s defection while Wetang’ula’s bitter critic Moses Buyela who contested the Cherangani parliamentary seat on Eugene Wamalwalwa’s New Ford Kenya party was replaced by an MCA George Otieno from Homa Bay as deputy secretary for police and economic affairs. Former PS for Labour Beatrice Kituyi who was appointed on the Cord committee to spearhead the referendum talks took over as FK’s vice chair for women and children affairs to replace Gloria Akhayalu who changed political affiliation. Nyando MP Jared Kopiyo becomes the new 1st deputy secretary-general to replace Wamalwa while Kisumu MP Olago Aluoch replaces Moses Shedrack as the secretary for constitutional affairs. Chris Mandu Mandu from Busia will hold the position of organising secretary following the desertion of duty by Peter Muyae. Bishop Robert Makona who headed the religious and spiritual affairs was replaced by a nominated MCA in Bungoma Edith Shitandi as Wafula Mutacho succeeded Frankline Wangwa as the secretary county coordinator. Both Makona and Mutacho vied for the Saboti parliamentary seat. In a rejoinder, Buyela termed the replacements as sham and undemocratic saying they should have involved chairmen and secretaries of sub branches of the affected officials before being adopted by the NEC. 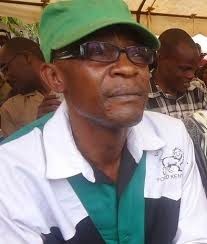 Buyela, a former ally of Wetang’ula said the new officials had been handpicked against FK’s constitution adding that with the stalemate between Mwashetani and Wetangula, all was not well with the party leadership. He alleged that Wetang’ula had defended Wycliffe Wangati, son of FK nominated MP Patrick Wangamati to chair the professional caucus because of being business partners at the Bungoma-based Tourist Hotel. Asked why he was concerned with FK’s affairs whereas he supported NFK and if he was ready to swoop parties once again, Buyela was non-committal. But Wamalwa dismissed Buyela saying the latter had no mandate deliberating on FK issues since quitting the party adding that the interim adjustments had taken into considerations issues of gender, commitment and regional balancing among other things. The FK chief whip explained that there was nothing wrong Mwashetani having welcomed President Uhuru Kenyatta in his constituency “as this was his democratic choices as was my case when I accompanied the head of state when he was in my Trans-Nzoia home county recently”. According to the Kiminini legislator, the replacements made in Naivasha were a prelude to the party’s grassroots polls to be held between February-April 2015 adding that FK had embarked on an elaborate campaign in Coast, Luo Nyanza and North Eastern to woo supporters. Wamalwa alleged that FK was currently wooing the Saboti MP David Lazaro and the Trans-Nzoia women representative Janet Nangabo with a view of turning Trans-Nzoia county into a Cord zone. On the alleged differences between Wetang’ula and Kabuchai MP Lusweti, the FK spokesmen said the fact that Wetang’ula’s younger brother Fred Wetang’ula had shown interest in the seat did not mean the two are at loggerheads. “We have told him that we shall not accept nomination papers being issued under the table. We have told him we will need only popular candidates and he has accepted. We want our party to form the next government and this will only be possible if we elect popular candidates,” he said. He defended his party boss saying he had no interest in the Bungoma Tourist Hotel which he said had been taken over by the Wangamati family.